All who "thrive on the business of consumer technologies" flock to this annual Vegas-based international trade show and conference, which was established over 50 years ago. CES boasts more than 1,000 speakers every year and showcases more than 4,000 exhibitors, including both industry giants and early-stage startups. The biggest computer expo in the world takes place in Hanover. CeBIT covers the entire spectrum across its five days—from telecommunications to software. The trade fair is ginormous, the conference features more than 500 speakers and the accompanying music festival, d!campus, makes for one of the more authentic networking experiences you're likely to have. Technology experts from across the world head to Bangkok every June for the Techsauce Global Summit, Southeast Asia's largest tech conference. 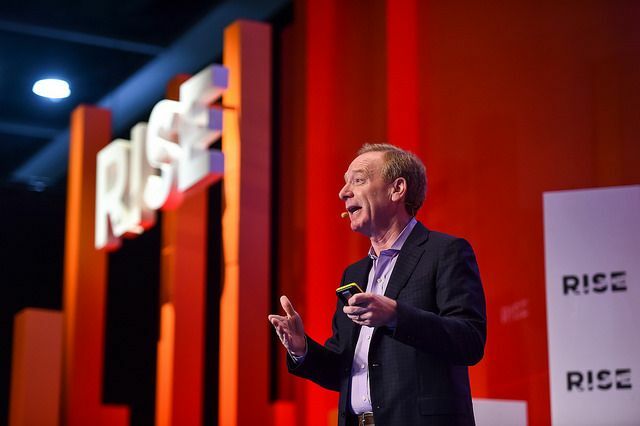 Details for the 2019 edition are yet to be revealed but, as ever, more than 200 influential CEOs and technology specialists are expected to be part of this year's conference. From the organisers of Lisbon's Web Summit, Hong Kong’s annual tech conference Rise is the biggest of its kind in Asia. The festival's five stages play host to top-tier speakers over the course of the three-day festival, which also includes dozens of satellite events throughout the week and an exhibition of hundreds of early- and expansion-stage startups. GMIC is one of the fastest-growing technology conferences in Asia. This year, the festival's 11th incarnation, which delves into artificial intelligence, digital marketing and innovative business models geared towards millennials, will feature a range of renowned speakers as well as seminars and workshops—all of which will be very much mobile-first. She Loves Tech is a conference and female-focused global startup competition, bringing together founders, executives and investors whose ventures impact women positively. In 2018, the competition hosted rounds in 14 locations around the world, with the final round in Beijing, taking place during the conference. The conference itself features industry-leading speakers, many of whom come from China’s top tech firms. Europe's biggest tech event features top-tier speakers across multiple stages, a start-up competition and plenty of extra-curricular activities that offer a chance to build meaningful connections, including the infamous 'Night Summit'. Exhibitions, workshops, competitions and talks—India's Techfest has it all. Organised by the Institute of Technology Bombay, it featured a technology talk by the Dalai Lama at its 14th edition in 2018, which focused on the relationship between tech and mental health. Details for the 2019 edition are not yet available, but this is a technology festival that's growing.